Where is the one place in the world where you can go to find a shrunken head, a mummy, a T-Rex, a piece of the Berlin Wall, and a pitchfork used in The Wizard of Oz? 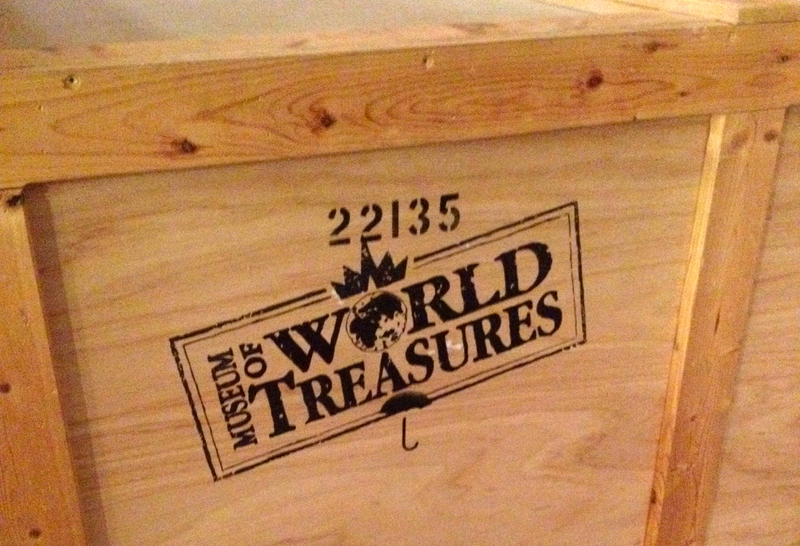 It’s the Museum of World Treasures in Old Town Wichita. Founded in 2001, it moved into its current location in the Farm and Art Market in Old Town in 2003. 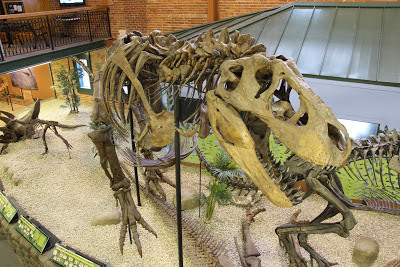 The exhibits showcase an eclectic and impressive range from millions of years of history with the centerpiece on the first floor – Ivan the T-Rex, and one of the most complete T-Rex discoveries in the world. You can also check out exhibits on the World Wars, European royalty, Kansas paleontology, the Wild West, and more. You’ll definitely leave feeling more cultured than when you went in. It’s the perfect place to take your kids – it’s not overly large, so you can see the entire museum without getting overwhelmed, and there’s a kids room with dress-up areas and toys and games. Throughout the museum, there are interactive exhibits perfect for kids. About half of the treasures on exhibit come from the collection of the founders, Dr. Jon and Lorna Kardatzke, and the mix of artifacts is unexpected and delightful. We went as a family for a birthday party, and the kids got a brief 20-minute themed tour – they learned about Ivan the dinosaur and cave bears! We also managed to time it with one of their Discovery Days. The last Saturday of the month from 11am to 3pm, there are activity stations with games, crafts, and artifact exploration. Each month is different, and coming up there’s the St. Patrick’s Day Hats event on March 28 and The Greek Olympics on April 25. They’ve got events for adults too. 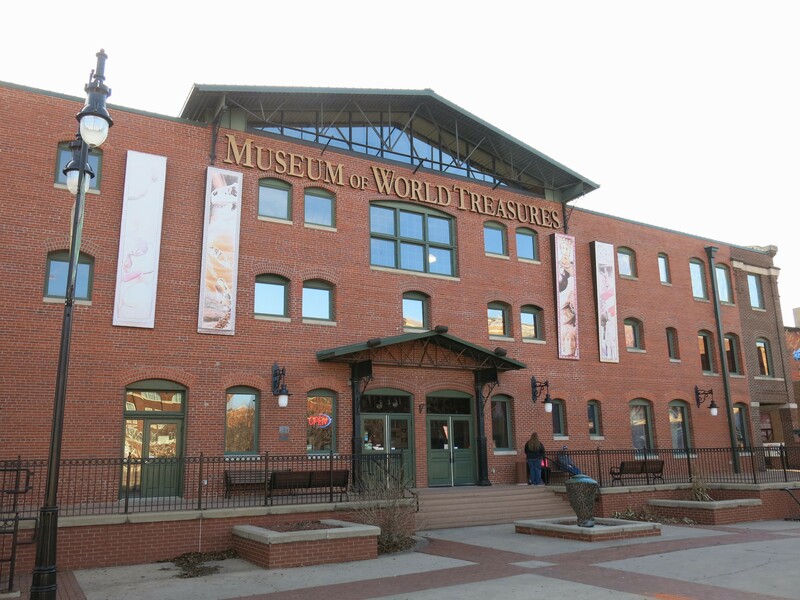 The Murder at the Museum: Deadwood Saloon event starts at 7pm on April 25, and you can dress up and play a part in the interactive murder mystery entertainment while enjoying snacks and drinks and exploring the museum. Tickets are $30 per adult or $25 for Museum Members. For $10 per child, bring children over 3 years old for an alternative kids program while the adults solve the crime. This entry was posted in Eat, play, stay, Family Friendly, Off the trail and tagged Kansas, old town wichita. Bookmark the permalink.